Winning at NPD - U.S.
practical applications to help evolve your product processes. The Planisware Center for Excellence is a place for PMO and Product Portfolio executives and senior managers to learn New Product Development best practices from the authorities in the field. Through its one- and two-day Masterclasses led by experts in PPM processes, the Center helps participants acquire the skills they need in Project, Program and Portfolio Management to take their organization to the next level of maturity. 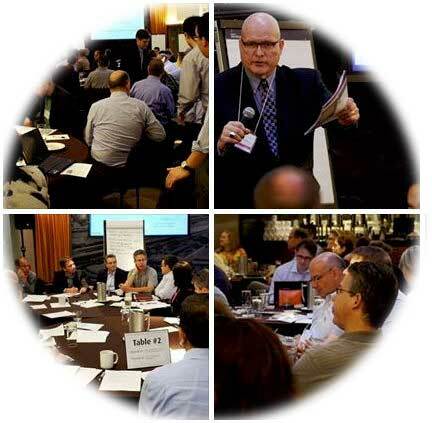 "The Planisware Center for Excellence is an excellent forum for a group of very engaged and experienced managers to get a new topic discussed, share their experiences and gain new insights." Masterclass leads are published authors recognized for their expertise and real-life experience. Our events are designed for executives and senior managers who are leading product development process improvements. Instruction combines theory, case studies and guided, practical exercises. A small group limit enables an interactive environment that stimulates discussion. It's about the masterclass and only the masterclass. See our charter. The systems discussed in our masterclasses have a track-record of helping organizations reach the next level in their PPM maturity. Interactive exercises guide you in applying theory to your specific circumstances. Throughout the masterclass, participants have numerous opportunities to discuss their challenges with our speakers, PPM experts. Participants access online resources, including templates and video recordings. Compare your company's processes to those of your peers and discuss challenges and solutions. Which metrics should Agile teams use to accurately report and communicate project status to the program level? What's your strategy for picking winning products to invest in? How do you effectively scale Agile methodologies to the program level?